Bit i can@T finnd my asses. 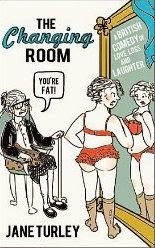 Haha love this - perfectly got the message across! Clever. Reminds me of the time I was doing push ups one morning when our dog, a surly Shi-tzu called Gizmo, decided to get underneath me with the resulting headbutt breaking my glasses. I had to go to work with sticky tape holding them together. Not happy. I'm impressed by the push-ups DA! I used to work out but since I've been back in full-time employment finding the time to do anything but stay on top of everything and I've done zero writing - hence making concerted effort to do A to Z even when I'm knackered - hoping the momentum will carry me forward into completing the sequel to my novel and/or other writing. Oh yes Bellybytes I know that feeling. Sometimes I don't even know my own kids names and have to run through the list (sometimes several times) before I get the right name! Fortunately, they find it funny. I just worry about it as I don't even have dementia yet... things can only get worse! 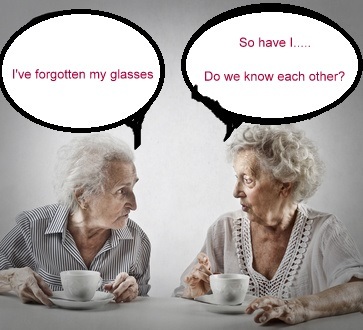 When my Mum stayed with us briefly before being admitted to a care home due to Alzheimer's she lost her glasses. We searched high and low and of course it was all my fault. What I wasn't accused of doing isn't worth mentioning. I finally tried to put myself in her shoes and go through her actions and discovered them inside a box of tissues next to her bed. She'd obviously got into bed, taken them off and then, for reasons best known to her, she'd pushed them inside the tissue box. Except of course she hadn't. Wouldn't possibly have done that. It was still my fault. I can't imagine trying to do anything if I lost my glasses! It's a right pain isn't it, Danielle - I can only imagine how difficult it must have been to have lived to a great age in medieval times without modern day glasses to help you along. Excellent! My reading glasses are totally useless for my computer but work very well otherwise. Would be completely lost without them now. Id already written my H post G, when your comment came through but those are great suggestions- hopefully I'll remember them for next year. Having to use reading glasses so much lately, is such a pain and I hate it. They are always on my head or tip of my nose. I didn't realize so many years ago that I should have better appreciated my eyesight. Your life depends upon it. Oh yes Barbara - I was walking around town one day and went to look for my glasses in my bag and couldn't find them. I tapped my head and there were two pairs there!